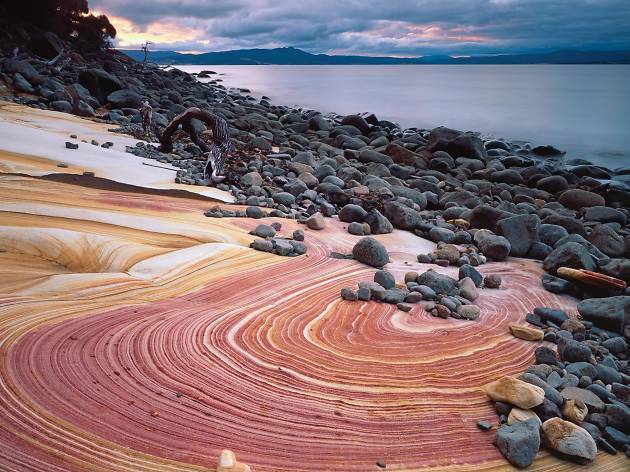 Many of Tasmania’s attractions are already well known throughout Australia. Visitor numbers at the Port Arthur Historic Site, Cradle Mountain and Wineglass Bay remain high whatever the weather (and in Tassie the weather can be challenging.) But many of the most interesting things to see and do on the island are kept a little quieter. You won’t find any of these places on a picture postcard, but every one of them is worth going out of your way to find, and when you get there it will almost certainly be quiet enough to enjoy. 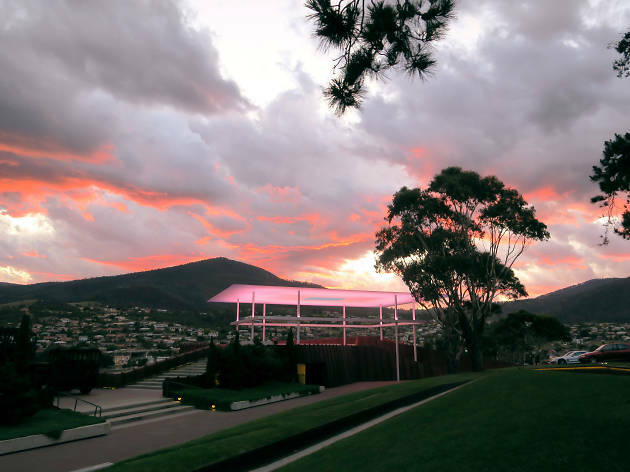 You need to visit the Museum of Old and New Art (MONA) outside of normal museum opening hours to see the sunrise or sunset sequence of James Turrell’s Amarna. It’s a large-scale art installation that creates a light show to complement the natural conditions at the start and end of each day, described by the MONA team as “kind of like what God would do if He decided to build a gazebo.”It operates outside of MONA’s usual operating times, which means you’ll need to bringyour own snacks and drinks, and perhaps a cosy blanket in winter months. Check the website for the daily timings of the sunrise and sunset sequences. Many visitors to Bruny either head for the beach at Adventure Bay or choose to stay on the north end of the island, where there is plenty of local produce to be enjoyed at the Get Shucked Oyster Farm and the Bruny Island Cheese Company. If you’re prepared to brave the gravel roads, then it’s well worth being a bit more adventurous and heading down to the south end of the island. There’s excellent seafood at the Hotel Bruny in Alonnah, and a contender for the world’s best cherry cheesecake at Bruny Island Premium Wines in Lunawanna. It’s almost worth missing the return ferry so you can camp overnight at The Neck and watch fairy penguins come home to roost after dusk. One of the best little beaches in Tasmania is just ten minutes drive from Wynyard, but outside of peak summer season you can easily find that you’re the only person there. There are pristine white sands and sparkling clear water, with plenty of rock pools for exploring. The small community that has built up around the quiet bay is friendly and welcoming, and the relaxed vibe of the Harvest and Cater café at the surf club makes it a great place for a cold beer and a fish burger at the end of the day. Anchored in the middle of the Bass Strait between Victoria and the North West coast of Tasmania, King Island is just 64km long and 27km wide. 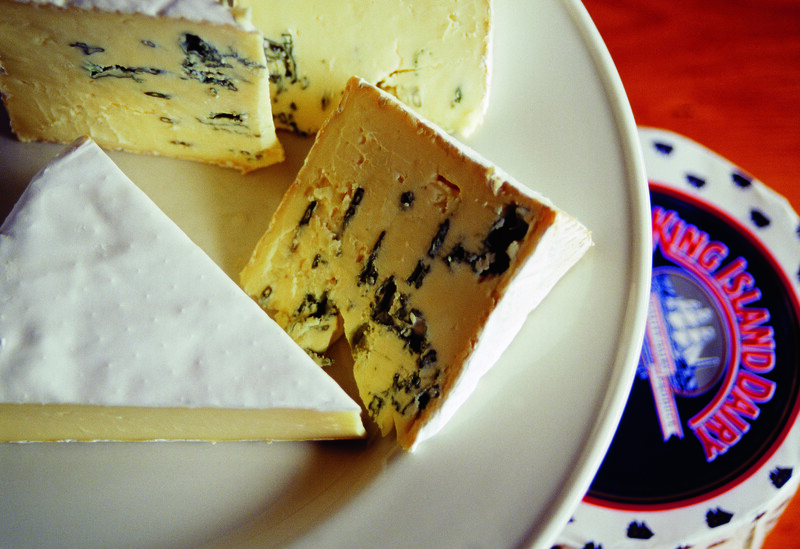 The green pastures make the island a source of excellent dairy products, which you can sample at the King Island Dairy, and the surrounding waters provide both great seafood and great surf. You can fly direct from Melbourne, or from the Burnie-Wynyard or Launceston airports on Tasmania itself. Cabins and beach houses, a friendly welcome, and a surprisingly wide choice of dining opportunities mean that KI is the perfect place to escape from it all. Started by musician and performer Tania Bosak in 2000, Rektango is a free live music event that takes place every Friday night in a courtyard off Salamanca Square. 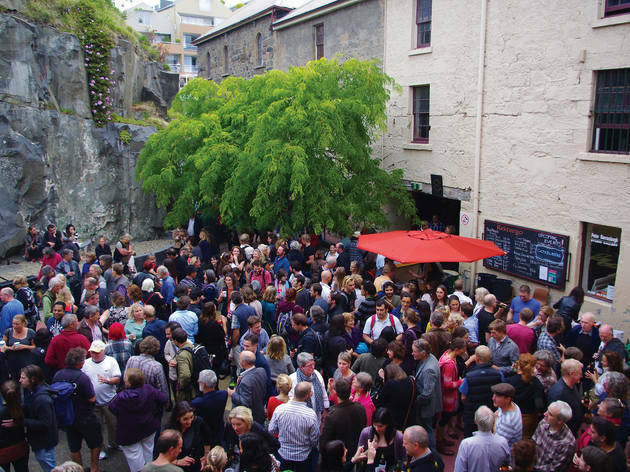 Under the cliff face that leads up to Battery Point, locals gather to drink, dance, listen to music and socialise. 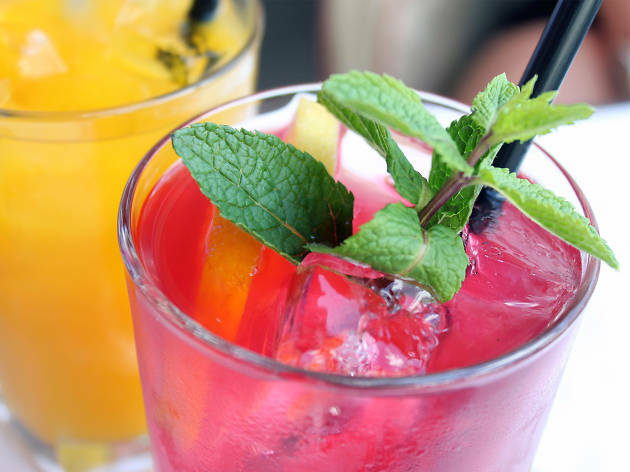 Makeshift bars offer sangria, cider, and cold beers in summer, and mulled wine in winter. Keep an eye on the Facebook page for news of the featured musicians, who could be showcasing anything from gypsy swing to cool funk to Latin samba. This is the perfect way to start your weekend. 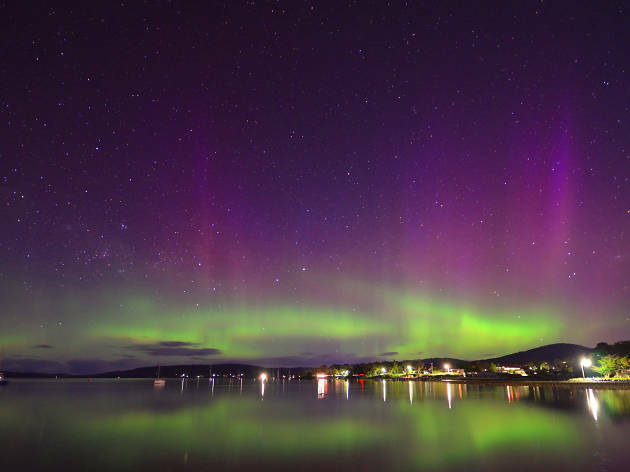 Tasmania’s clean air and geographical location mean that it has a well-deserved reputation as one of the best places in the world to see the aurora australis, or southern lights. While it’s down to sheer luck whether or not the geomagnetic conditions will lead to a spectacular aurora show during your time here, you can maximise your chances of spotting one by joining the Aurora Australis Tasmania group on Facebook where members share tips on everything from the best secret locations with a clear view of the night sky, to the best settings on your camera to ensure that perfect shot. Maria Island is a truly unique place, with no vehicles, no shops, and no stress. 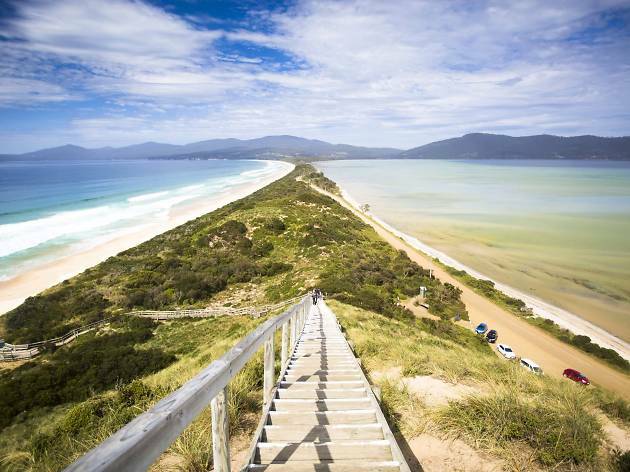 Just off the East Coast of Tasmania, it can be reached by ferry from Triabunna, and once you’re there you can enjoy walking, cycling, snorkelling and wildlife spotting. Like an Aussie Noah’s Ark, a number of threatened species have been introduced, including forester kangaroos, Bennett’s wallabies, and Tasmanian devils. A day trip is possible, but if you want to stay overnight and explore the island more fully you can either camp or stay in basic bunkhouse style accommodation at the Old Penitentiary. If you only do one walk on Maria Island, make it the Painted Cliffs: patterned sandstone rock formations created by the movement of mineral-rich water though the rock, and by the later eroding action of wind and wave. They are astonishing and beautiful. 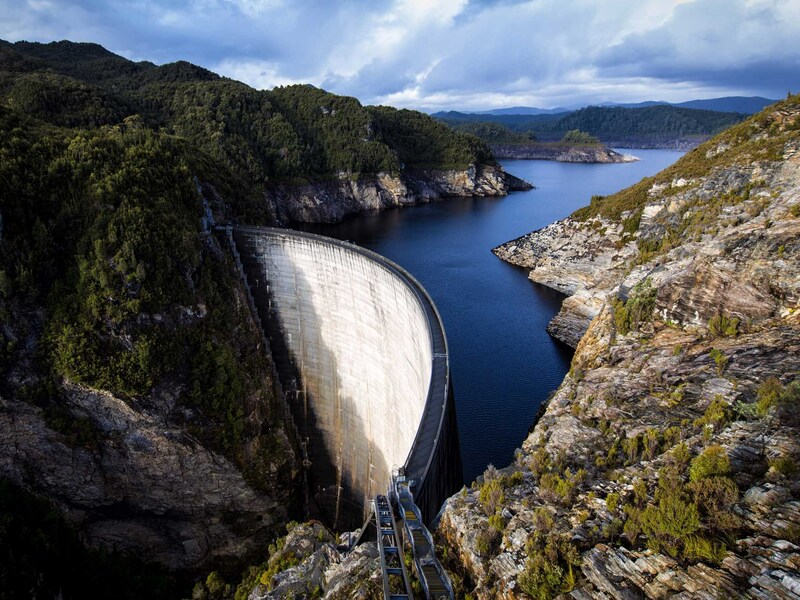 The Gordon Dam at Strathgordon, about two and a half hours drive from Hobart, provides an opportunity to undertake the world’s highest commercial abseil of 140 metres, several metres higher than the Sydney Bridge. It’s an all-day experience in the beautiful surroundings of Tasmania’s south west wilderness, and while no previous experience is necessary, it’s worth remembering that once you’ve abseiled down, you have to climb back up (although rumour has it that if you book for a Monday or Thursday you may be able to hitch a ride back to the top in a cable car with workers from Hydro Tasmania). Operators Aardvark Adventures also offer a number of white water rafting opportunities around the state. 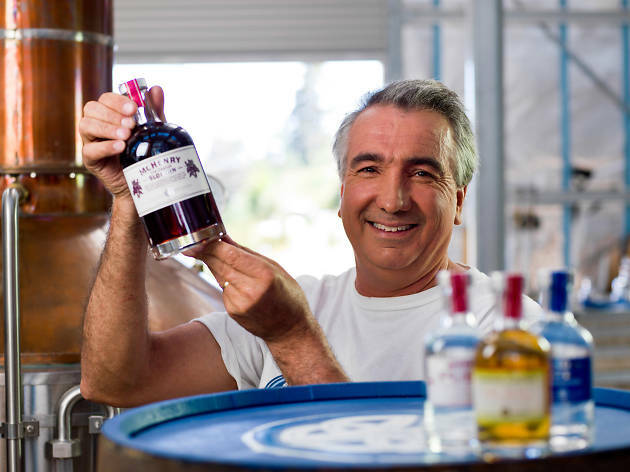 Bespoke Tasmania run full day visits to the McHenry’s award-winning craft distillery at Port Arthur on the Tasmanian peninsula. As well as learning about the story of gin and gaining an insight into the McHenry’s range, you’ll enjoy a seasonal picnic and a walk up Mount Arthur to the source of the spring water used at the distillery. With your gin education complete, you can then use the extensive range of botanicals on offer, such as Tasmanian pepper berry, to produce your own bespoke gin. You’ll leave the day with a 500ml bottle of your own creation, and for an extra $10 you can even arrange for the barmen at the Henry Jones Art Hotel in Hobart to turn it into a unique cocktail. Cheers! 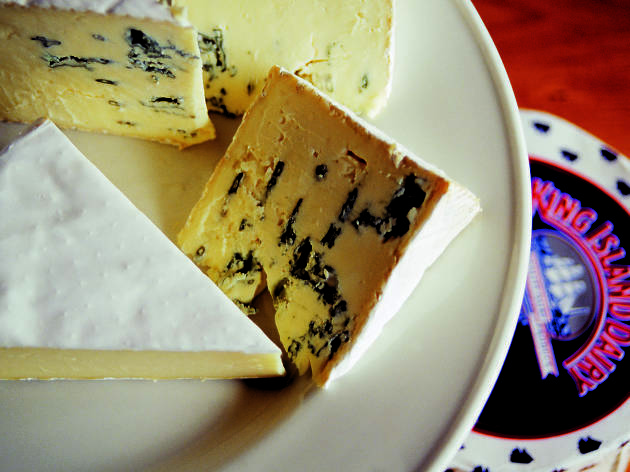 The Hobart restaurant scene is a vibrant and exciting one, but some of the best food in can be found outside of the traditional establishments. 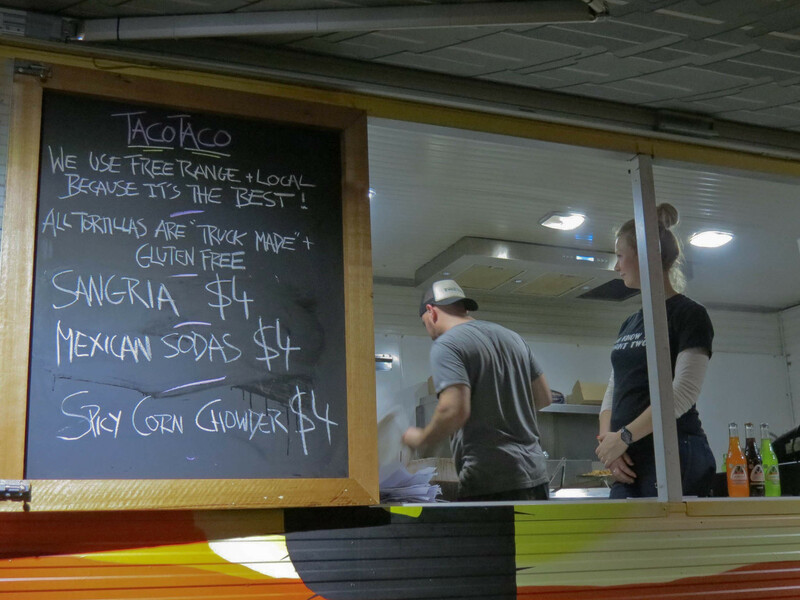 The Taco Taco Van has been operating since 2013 and can be found at various spots around the city at lunchtime and evenings. The pulled pork with chipotle mayo and grilled chook with pink onions are both ace. More recent additions to the streets are Big Henry’s doing banh mi rolls, smoky pulled pork sliders, and traditional poutine, and Sip and Spoon doing berry smoothies, wholefood waffles, and raw vegan donuts. There’s a fantastic Facebook list which shows the latest updates from all Tasmanian food trucks and let’s you see who is out and about on any given night. Full of fruit orchards, rolling farmland, and roadside produce stalls with honesty boxes, the Huon Valley offers some of Tasmania’s most beautiful scenery. The town of Huonville sits right on the banks of the Huon River and is a treasure trove of antique and bric-a- brac shops. Further on, between the river and the D’Entrecastaux channel lies Cygnet, small town full of artists, musicians and mellow old hippies, many of whom participate in the annual Folk Festival. A much loved local café, the Red Velvet Lounge reopened in mid-2015 after a devastating fire, and provides warm, friendly hospitality. 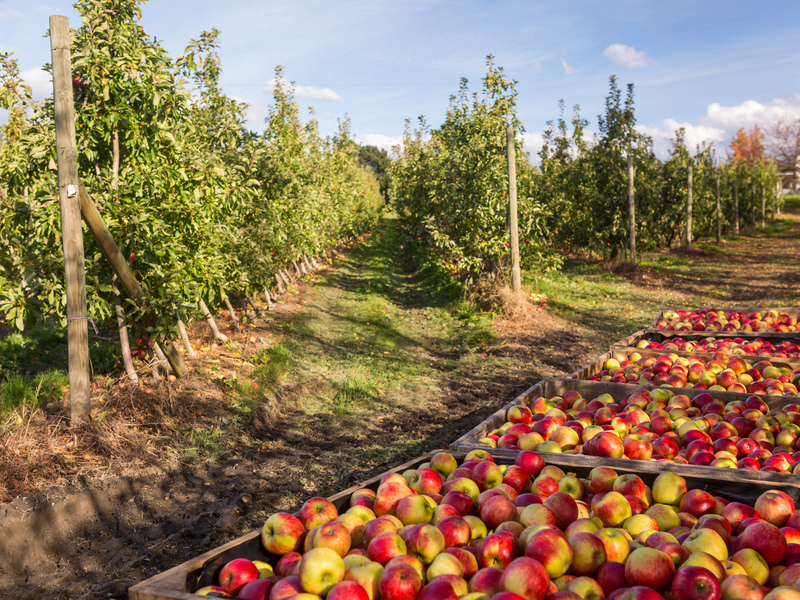 Other good food experiences can be found at the Lotus Eaters Café in Cygent and Willie Smith’s Apple Shed at Grove, a refurbished barn serving award-winning cider and the best apple pie on the entire apple isle. 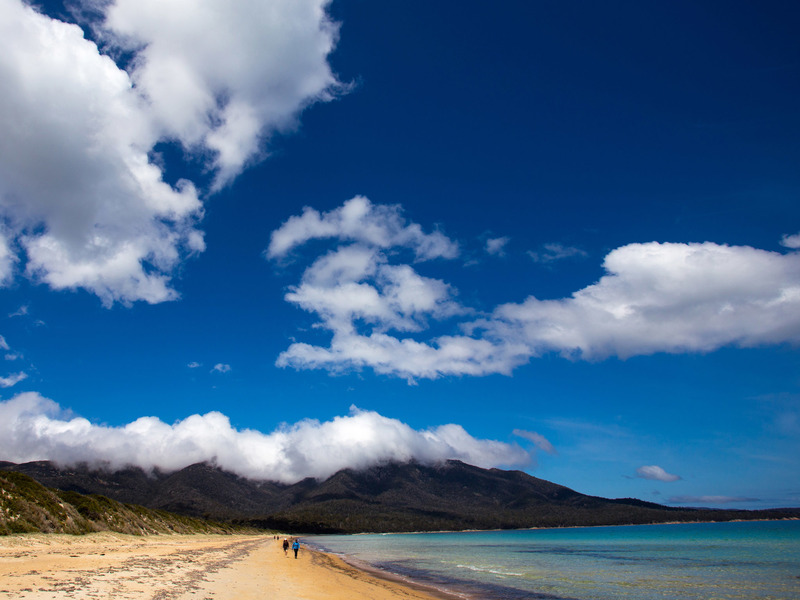 Despite the fact that they lie right at the entrance to the Freycinet National Park, the Friendly Beaches only attract a tiny fraction of park visitors. 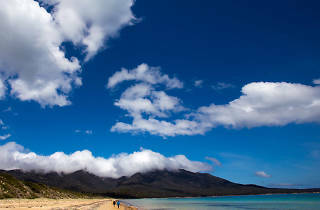 Most people drive straight past the sign and keep going to the morefamous Wineglass Bay and beyond. Their loss is your gain, because at the end of a 10-metre walking track you’ll find enough quiet, sandy white beaches to walk on for hours. Beaches are unpatrolled, but fishing and surfing are both popular, and there is camping available in the northern corner of the beach near Isaacs Point. 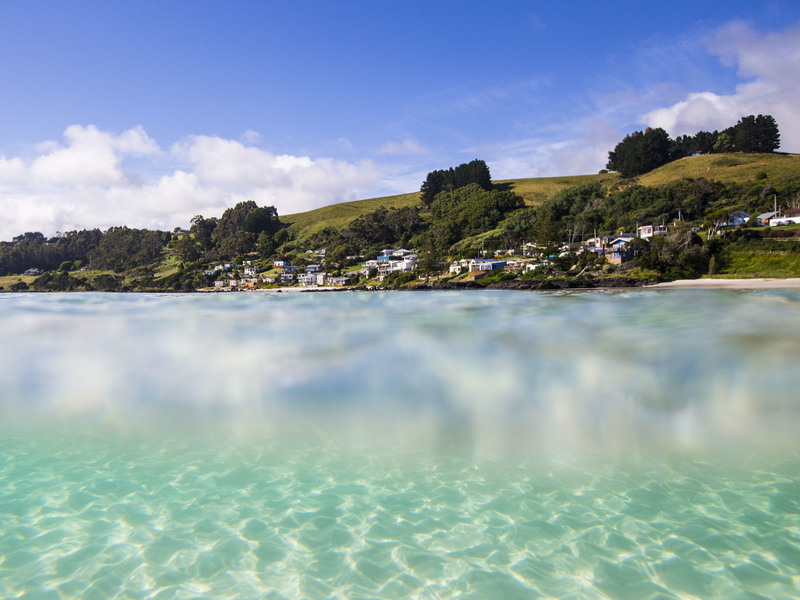 Friendly Beaches are beautiful, remote, wild… and with a name like that, how could you not? Located right in the centre of Hobart, but set back from the street down a dark alley and with no windows to peek through, you have to work hard to track down this tiny cocktail bar. Even the most on-the- pulse locals will confess to walking up and down Castray Esplanade several times before finding it. (Look out for the bamboo door!) It’s not the place to come for a quick beer: instead it’s Tiki style all the way, with a comprehensive cocktail menu of classics and originals, and much of the interior sourced from Polynesia and the Caribbean. South Seas provides a warm and welcome burst of sunshine even in the middle of a Tassie winter, but there’s only room for 25 inside, so make sure you get there early.